The Governor of Washington State, Chris Gregoire, signed HB 1016 into law just yesterday. This effectively allows gun owners to both own and use suppressors with their firearms. While suppressors weren’t illegal to own in Washington State before the bill was passed, using them with a firearm was considered a gross misdemeanor crime. Now, its just as legal to shoot using a suppressor within the state line as it is to own one. The bill will take effect 90 days after adjournment. Wow, allowing someone to own a suppressor, but not to shoot with it within the same state? Why did it take this long for this bill to exist? Still, better late than never. Thanks to NRA-ILA for the original story. Just a quick reminder that tomorrow is Lendy’s Wings For Warriors sponsored by Mission First Tactical. The location is Lendy’s, 1581 General Booth Boulevard, in Virginia Beach, Virginia from 1400 to 1800. For $20, you can enjoy all-you-can-eat wings, door prizes, and events. 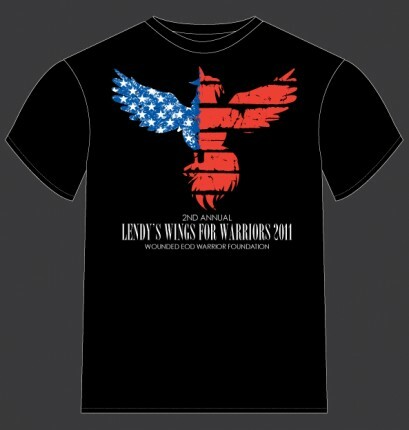 If you aren’t in the area, but would still like to contribute to the Wounded EOD Warrior Foundation, then you can buy a Lendy’s Wings For Warriors t-shirt. I’ll be there, and I hope to see plenty of people in attendance. Edit: I wasn’t able to attend. Boo. Still, from what I hear the event was a success! 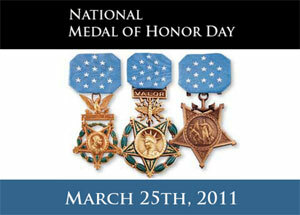 Today is March 25th, National Medal Of Honor Day. Please take at the very least a moment to honor the recipients of this award. 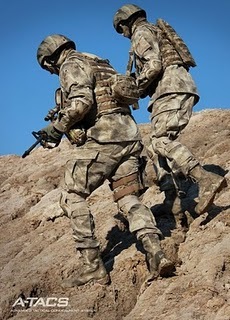 Their actions and courage in the face of absolute danger deserves nothing less than our total respect. For information on all the current MoH recipients and information on the award itself, visit CMOHS.org. Now, I can’t really give a cake over the internet, so we’ll have to celebrate the only way I know how… with the Kirk/Spock Pon Farr fight to the death… with Lirpa! ^Any opportunity I have to put this scene in an article, I will do it. 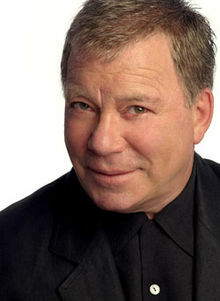 Posted in PSA | Comments Off on Happy 80th Birthday William Shatner! Mission First Tactical is once again helping to raise money for the Wounded EOD Warrior Foundation by sponsoring the 2nd Annual Lendy’s Wings for Warriors. For $20, in addition to getting a totally sweet t-shirt, you are also donating to a worthy cause. Seems like a win-win to me. To place an order, send an e-mail to amber@missionfirsttactical.com. 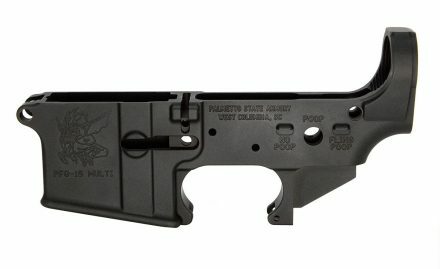 In my previous article WOLF’s Den, I claimed in the description that the Magpul PTS Masada ACR was made by ARES Airsoft, drawing this information from the video itself. In the comments section, however, Spartan Imports was kind enough to point an error in this, stating that Magpul PTS fully manufactures this particular airsoft rifle, and ARES Airsoft does not. 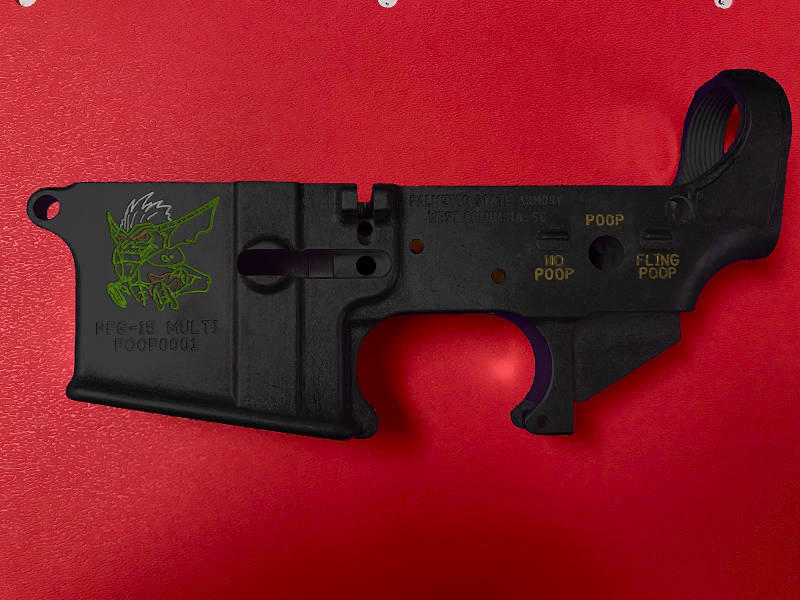 In addition, Magpul PTS does not want association with ARES Airsoft. This particular bit of misinformation is widely spread, and I thank Spartan Imports for the correction. If you are interested in purchasing a Magpul PTS Masada ACR you can find a dealer on spartanimports.com where you’ll also find a variety of other airsoft weaponry and accessories. The iPhone contest is now closed. Thanks to everyone who participated. The winner will be announced soon. Only One Day Left To Win That iPhone Case! Just a quick reminder that tomorrow’s the deadline to win the Magpul iPhone 4 Executive Case. Get those contest entries on my Facebook page ASAP!